The quick and discreet rangefinder cameras are extremely quiet and very compact, allowing you to get closer to the action. 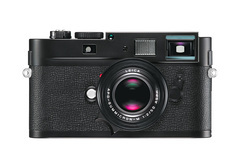 The Leica M features intuitive controls and is simple to use without superfluous functions or overcomplicated menus. All in all, the M-System grants photographers the opportunity to concentrate on what’s essential: the images.